Abercrombie & Fitch (ANF) "Long-Term Review #18"
I write about all of the different things I want to accomplish here on this website and one of the important parts of analyses like these are to find out if they are truly working in the 'real world'. In other words, what's the use of writing something up if I don't take the times to look back and find out how they worked out? And see if the stocks mentioned still belong on this website? It is hard to believe, but this blog is approaching five years in operation, with the first post placed back on May 12, 2003! This is actually entry #1,797, and I am now up to reviewing entry #18! It looks like I have my work cut out for me :). Please always feel free to let me know what you think about these entries by leaving comments (not spam) on the blog and if you would like you can email me at bobsadviceforstocks@lycos.com with these same comments or questions. On March 16, 2008, I reviewed entry #17, Krispy Kreme Doughnuts (KKD). I wrote up KKD on May 28, 2003. On the same day, I briefly discussed Abercrombie & Fitch (ANF). Let's take a closer look at that entry and see how Abercrombie is holding up today in the difficult market environment we find ourselves and in the increasingly difficult retail market sector. If any of you have teenagers, then you will know about ANF. The stock is having a nice day today and made the largest percentage gainers list. I do not own any shares of this nor does any member of my family. ANF is currently (12:46 pm CST) trading at $29.07 up $1.33 or 4.79% on the day. On May 13, ANF reported first quarter earnings ending May 3, 2003, rose 13% to $.26 from $.23 for the comparable period last year. Looking at Morningstar, we find a 5 year growth from 0.5 billion to 0.8 in 1999, 1.0 in 2000, 1.2 in 2001, 1.4 in 2002 and $1.5 billion for the trailing twelve months. This company is cash-flow positive generating 200 million in the past 12 months...almost double the 107 million reported by Morningstar in 2002. Another great pick for a beautiful late spring day. This was only the first time I 'reviewed' Abercrombie; on June 2, 2005 I 'revisited' this stock on this blog when it was trading at $65.12. Abercrombie & Fitch (ANF) closed at $70.69 on April 11, 2008, for a gain of $41.62 or 143.2% since my post in 2003. I do not own any shares nor do I have any options on this stock. Let's take a closer look at Abercrombie today and see how it fits into our 'scheme of things'! "...through its subsidiaries, operates as a specialty retailer of casual apparel for men, women, and kids. Its stores offer casual sportswear apparel, including knit and woven shirts, graphic t-shirts, fleece, jeans and woven pants, shorts, sweaters, and outerwear, as well as personal care products and accessories under Abercrombie & Fitch, abercrombie, Hollister, and RUEHL brands." Is there any recent news on this company? This past Friday, JPMorgan analyst Brian J. Tunick cut his rating on Abercrombie to "Neutral" from "Overweight" on a decrease in earnings for the year to $5.64/share from his prior outlook of $5.72/share. ANF has not been immune to the lackluster retail sales environment and on Thursday, April 10, 2008, the company reported a decrease in same store sales of 10%. Total sales for the five week period ended April 5, 2008, actually declined a smaller % to $330.2 million from $331.2 million for the same period in 2007. However, this highlights the importance of same store sales evaluations which indicate how existing stores open both periods perform and removes the element of new store openings contributing sales. On February 15, 2008, Abercrombie & Fitch (ANF) reported 4th quarter 2007 results. For the quarter ended February 2, 2008, net sales increased 8% to $1.229 billion from $1.139 billion compared to the same period in 2007. Comparable store sales, however, declined 1% in the 2008 period. Net income for the quarter increased 9% to $216.8 million compared to $198.2 million the prior year. Diluted income per share increased 12% to $2.40/share from $2.14/diluted share the prior year. The company managed to beat expectations on earnings which were expected to come in at $2.36/share according to analysts polled by Thomson Financial. However, they missed expectations on revenue which were estimated to come in at $1.25 billion. The Morningstar.com "5-Yr Restated" financials has yet to reflect the slowing retail environment that is buffeting this stock. In other words the Morningstar.com page looks great! The company has been steadily increasing sales from $1.7 billion in 2004 to $3.7 billion in 2008, increasing earnings from $2.06/share in 2004 to $5.20/share in 2008, and initiated a dividend of $.50/share in 2005, and increased it to $.70/share in 2008. Outstanding shares are not only stable with 100 million shares reported in 2004, the company has been buying back shares along with the way with only 92 million shares outstanding in 2008. Free cash flow is positive and has grown from $197 million in 2006 to $414 million in 2008. The balance sheet appears solid with $118 million in cash and $1.02 billion in other current assets, easily covering the $543.1 million in current liabilities. The company has an additional $406.2 million in long-term liabilities reported on the Morningstar.com sheet. Calculating the current ratio, we can see that the ratio of 2.1 is quite adequate imho. Reviewing the Yahoo "Key Statistics" on Abercrombie, we can see that this is a large cap stock with a market capitalization of $6.09 billion. The trailing p/e is a reasonable 13.60 with a forward p/e (fye 02-Feb-10) estimated at 10.84. Thus the PEG ratio is quite reasonable at 0.78. In terms of valuation, the Fidelity.com eresearch website notes that the Price/Sales ratio (TTM) is higher than its peers at 1.64, compared to the industry average of 0.84. However, Fidelity also notes that the company is also more profitable than its peers coming in with a Return on Equity (ROE) (TTM) figure of 32.25% compared to the industry average of 23.22%. Finishing up with Yahoo, we find that there are 86.18 million shars outstanding with 77.95 million that float. As of 3/11/08, there were 7.37 million shares out short representing 8.70% or a short ratio of 3.2 trading days of volume, a relatively modest figure. As I noted above, the company does pay a dividend of $.70/share yielding 0.7%. The dividend appears to be relatively secure with a payout ratio of only 13%. The last stock split was a 2:1 stock split paid out June 16, 1999. 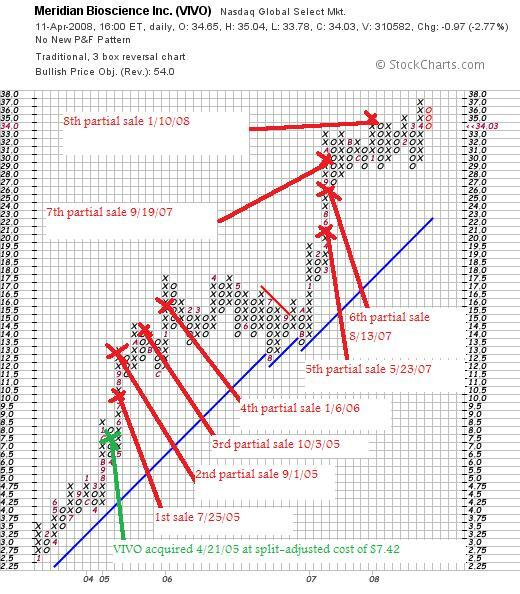 Looking at a 'point & figure' chart from StockCharts.com on ANF, we can see that the stock has nicely appreciated since January, 2003, when the stock was trading at $19.00/share until a peak at $85.00/share in October, 2007. The stock has been mostly trading sideways since then but although showing some weakness along with the entire sector, the price chart really hasn't broken down as badly as some stocks. Summary: What do I think about this stock today? Well this stock has certainly had a nice ride since I picked it back in the early days of this blog in 2003. Looking today at this stock, there is definitely a 'mixed picture' on results. The latest quarter showed a declining same store sales although revenue and earnings climbed. This same store sales dip has accelerated into the first quarter with a (10)% decline in same store sales. However, the longer-term picture appears intact, the company is reasonably valued with a p/e in the low teens and a PEG under 1.0. Their balance sheet is solid and they pay a secure dividend. That one really hurt. I like the performance of this pick and believe that after this economic downturn, the stock is likely to pick up once again. Watch for monthly sales figures, and when the stock starts doing better than expected it will be time to change our bias. Thanks so much for stopping by and visiting my blog! If you have any comments or questions, please feel free to leave them on the blog or email me at bobsadivceforstocks@lycos.com. If you get a chance, be sure and visit my Covestor Page to view my actual trading portfolio, my SocialPicks Page where my stock picks from the past year-and-a-half are being monitored, and my Podcast Page where you can download some mp3's of me discussing some of the same stocks I write about here on the blog. Wishing you all a healthy and profitable week! Meridian Bioscience (VIVO) "Weekend Trading Portfolio Analysis"
It is a pleasure to be blogging about this stock this evening. Meridian Bioscience (VIVO) has been probably my best investment in my portfolio for some time. As part of my blogging activity on this website, I have been trying to accomplish several things simultaneously. I hope that you all have been able to follow along with me as I address these issues. First of all, I have been discussing methods of selecting stocks and then writing up examples of these issues. Next I have been discussing portfolio management and exploring ways to deal with all kinds of market environment. Finally, I have been sharing with all of my readers my actual trading portfolio and letting you know when I trade---including my mistakes and impulse trades that I am trying to avoid--and updating you on the status of my holdings. This has been made easier by Covestor and you can visit my Covestor Page if you would like to review my holdings and their performance at least as of the date I joined Covestor on June 12, 2007. Even before I joined Covestor, I have been trying to review my holdings on a regular basis and determine their current suitability for me. When I had 20 positions and the market was acting better, I tried to review my holdings about every two weeks. Now that I am down to just 6 positions (on April 6, 2008, I reviewed my current trading portfolio), I am trying to spread out these reviews so they don't become redundant. On March 1, 2008, I reviewed ResMed (RMD), one of my current holdings in my portfolio. Going alphabetically through my portfolio (by stock symbol), I am now up to Meridian Bioscience (VIVO). I currently own 171 shares of Meridian (VIVO) which closed at $34.03 on April 11, 2008. These shares were acquired April 21, 2005, at a cost basis per share of $7.42. Thus, I have a gain of $26.61/share or 358.6% since purchase. As is my practice, I have been selling portions of my position as the stock has appreciated. In fact I have sold portions of Meridian 8 times since that purchase in 2005, at 30, 60, 90, 120, 180, 240, 300, and 360% appreciation levels. Initially, I had been selling 1/4 of remaining positions, reduced it to 1/6th sales, and lately have been selling 1/7th of my holdings as they hit appreciation targets. I have discussed this in the blog elsewhere but basically my initial selling was too aggressive and resulted in an ever-diminishing size of my remaining positions. When would I sell shares next? Except for arbitrary sales on the basis of some event or news that is fundamentally 'bad', I have been selling at targeted levels both on the upside and the downside. In Meridian's case, with my last sale at a 360% appreciation level (! ), my next sale is at the 450% appreciation level which would work out to $7.42 x 5.50 = $40.81. At that point, I would plan on selling 1/7 x 171 shares = 24 shares. On the downside, if a stock declines to 50% of the highest appreciation level, I sell my entire position (after multiple partial sales). In this case, if the stock should decline to a 180% appreciation level or $7.42 x 2.80 = $20.78, then I would plan on selling the entire position. "...a life science company, engages in the development, manufacture, sale, and distribution of diagnostic test kits primarily for respiratory, gastrointestinal, viral, and parasitic infectious diseases. The immunodiagnostic technologies used in its diagnostic test kits include enzyme immunoassay, immunofluorescence, particle agglutination/aggregation, immunodiffusion, complement fixation, and chemical stains used by reference laboratories, hospitals, and physicians' offices. The company also manufactures and distributes bulk antigens, antibodies, and reagents used by researchers and other diagnostic manufacturers." On January 22, 2008, Meridian (VIVO) reported 1st quarter 2008 results. For the quarter ended December 31, 2007, sales increased 18% to $33.8 million from $28.7 million the prior year. Net earnings increased 34% to $7.5 million from $5.6 million the prior year, representing a 29% increase on a per share basis of $.18/share in 2008 vs. $.14/share in the prior year same period. Reviewing the Morningstar.com "5-Yr Restated" financials on Meridian, we can see the beautiful picture of steady revenue growth from $65.9 million in 2003 to $123 million in 2007 and $128.1 million in the trailing twelve months (TTM). Earnings during this period have also steadily improved from $.21/share in 2003 to $.66/share in 2007 and $.70/share in the TTM. The company also pays a dividend (!) and has been steadily increasing that payment from $.15/share in 2003 to $.40/share in 2007 and $.43/share in the TTM. Outstanding shares have increased under 25% from 34 million in 2003 to 41 million in the TTM. During this time, revenue has grown almost 100%, and earnings are up more than 200%. This is an exceptable dilution in light of these fabulous results. Free cash flow is positive and growing from $16 million in 205 to $23 million in 2007 and $27 million in the TTM. The balance sheet is gorgeous with $49.0 million in cash, which by itself could pay off both the $15.6 million in current liabilities and the $2.6 million in long-term liabilities combined, more than 2x over! Calculating the current ratio, we find that Meridian has a total of $97 million in current assets, which compared to the $15.6 million in current liabilities yields a current ratio of 6.22. How about some valuation numbers? Checking the Yahoo "Key Statistics" on Meridian, we find that the current market cap of $1.36 billion still gives VIVO the small cap label. The trailing p/e is a bit rich at 48.68, with a forward p/e a bit better (but still rich) at 38.24 (fye 30-Sep-09). The PEG also is a bit rich at 1.70 (I like to see PEG's between 1.0 and 1.5 imho). Using the Fidelity.com eresearch website, we see that by the Price/Sales (TTM) measure, VIVO is richly priced at 10.58, compared to the industry average of 4.90. Even at this price, the Return on Equity (TTM) is ahead of the pack with a 25.91% value compared to the industry average of 20.72% according to Fidelity. Returning to Yahoo, there are 40.08 million shares outstanding with 38.37 million that float. As of 3/11/08, there were 3.06 million shares out short representing a short ratio of 6.9 trading days (a bit ahead of my own 3 day rule for significance). This is 7.9% of the float. The company, as noted, does pay a dividend and has a yield of 1.6%. The company is paying 62% of its earnings in dividend (the payout ratio). The last stock split was a 3:2 split back on May 14, 2007. 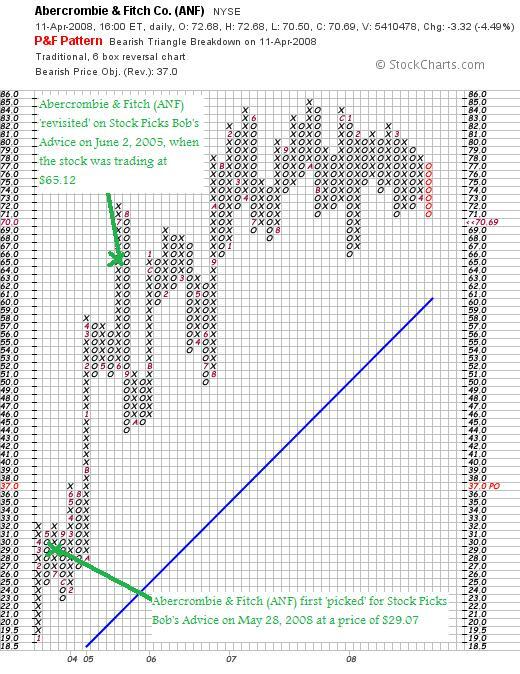 Reviewing the 'point and figure' chart on Meridian from StockCharts.com, we find one of the remaining 'beautiful charts'. The company has increased its stock price from $2.50 back in January, 2003, to a recent high of $37 recorded this month in April, 2008. This stock chart hasn't really 'heard the news' of the dismal stock market! The stock is quite small and is priced to near-perfection and I suppose for that reason could be vulnerable to a correction to more 'reasonable' values should the company fail to meet expectations. However, the latest quarter was strong, the Morningstar report is fabulous with the company even paying a dividend which it has been increasing every year! Valuation as noted is a bit rich but even with that, the profitability as measured by 'return on equity' is ahead of its peers. Finally the chart is gorgeous without much evidence of any weakness. I know I own the shares, so please take that into consideration, but even so, isn't this a beautiful stock? Thanks again for visiting! If you have any comments or questions, please feel free to leave them on the blog or email me at bobsadviceforstocks@lycos.com. If you get a chance, be sure and visit my Covestor Page where you can examine all of my holdings in my Trading Account, my SocialPicks page where you can check out my stock picks from the last year or so, and my Podcast Page where you can download an mp3 or two of me discussing some of the many stocks mentioned on the blog! It is the weekend once again! (Do these weeks seem to fly by for anyone else as well?). Anyhow, I like to review past stock picks on weekends and update my ratings evaluations. So many things have changed this past year. And not all for the better! Last weekend I took a look at the stocks discussed on this blog during the week of September 18, 2006. Going a week ahead, let's review the stocks 'picked' on this blog during the week of September 25, 2006. I know that it is a bit more than a year....more like a year-and-a-half....but when I started these reviews, it was a year....and then I missed a review one weekend....and then one thing led to another, and now my review is more than a year out. Anyhow.....let's get on with this review :). These reviews assume a buy and hold approach to investing. In practice, I advocate and employ a disciplined investment strategy that requires quick and total sales on declines and partial sales as stocks reach appreciation targets on the upside. Without a doubt the difference in employing these two strategies to the same group of stocks would certainly affect performance and you should keep this in mind. 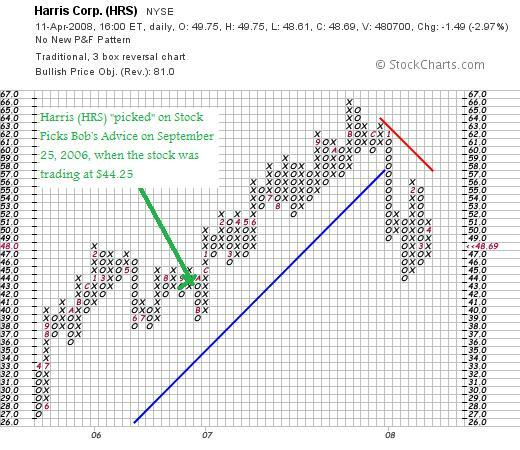 On September 25, 2006, I posted Harris Corporation (HRS) on Stock Picks Bob's Advice when the stock was trading at $44.25. Harris closed at $48.69 on April 11, 2008, for a gain of $4.44 or 10% since posting. I do not own any shares or options on Harris. On January 30, 2008, Harris (HRS) announced 2nd quarter 2008 results. Revenue for the quarter came in at $1.3 billion, up 30% from the $1.0 billion reported in the same quarter the prior year. This also represented a 7% sequential increase in revenue. Net income for the quarter came in at $114 million or $.83/diluted share vs. $94 million or $.67/diluted share the prior year. In the same announcement the company raised guidance for fiscal year 2008 to $5.2 to $5.3 billion with GAAP earnings guidance to $3.35 to $3.45/diluted share. The company beat expectations on both earnings where $.81/share was expected and revenue where $1.25 billion was expected according to analysts polled by Thomson Financial. Reviewing the Morningstar.com "5-Yr Restated" financials on Harris, we can see that the latest numbers show persistent revenue growth, steady earnings growth, steady dividend growth, stable outstanding shares, and continued solid free cash flow. The balance sheet appears solid. Looking at the 'point & figure' chart on Harris from StockCharts.com, we can see that the stock was moving strongly higher from April, 2005, when the stock was trading as low as $27, until August, 2007, when it hit a high at $66/share. The stock broke through support in January, 2008, and although moving higher, it hasn't convincingly re-established the upward price move. 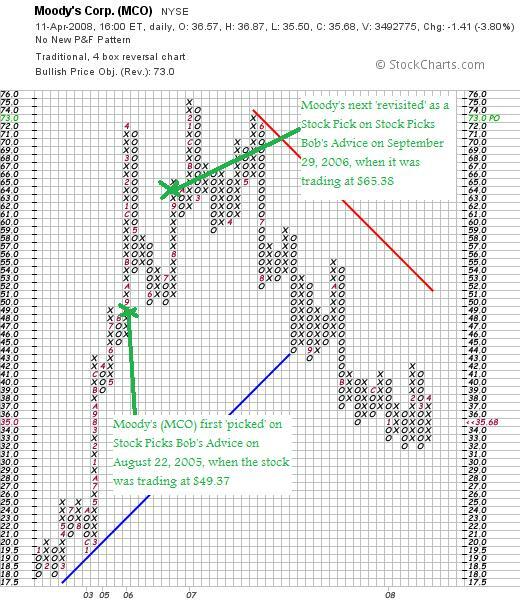 On September 29, 2006, I "revisited" Moody's (MCO) on Stock Picks Bob's Advice when the stock was trading at $65.38. I write 'revisit' because I first wrote up Moody's on this blog on August 22, 2005 when the stock was trading at $49.37. Moody's has not been immune from the near-meltdown of financial stocks we have observed and closed at $35.68 on April 11, 2008, for a loss of $(29.70) or (45.4)%. I do not have any shares or options on Moody's. In terms of recent events, Moody's on March 11, 2008, cut the 2008 outlook due to 'shrinking bond issuance' with revenue now expected to shring in the 'mid-to-high-teens' from $2.3 billion in revenue last year. This was a revised estimate that was already predicting a decline in revenue in the 'low double-digits'. On February 7, 2008, Moody's (MCO) announced 4th quarter 2007 results. Revenue for the three months ended December 31, 2007, declined 14% to $504.9 million from $590.0 million during the same period in 2006. Net income plunged to $127.3 millin from $278.6 million last year or $.49/diluted shear nearly 50% off the $.97/diluted share reported the prior year. The Morningstar.com '5-Yr Restated' financials on Moody's (MCO) appears intact with sales growth steady, earnings growth stable (except for a flat 2007 at $2.58/share the same as 2006), dividends steadily increasing, and free cash flow positive and growing. The balance sheet, however, gives me pause with $426 million in cash and $563 million in other current assets. This total of $989 million, when compared to the $1,349.2 million in current liabilities yields a current ratio of .73. At a minimum, a healthy current ratio is considered to be over 1.0. Moody's doesn't quite meet this level. Reviewing the 'point & figure' chart on Moody's from StockCharts.com, we can see that the stock climbed sharply from January, 2002, when it was trading as low as $18 to a high of $75 in February, 2007, only to fail to reach that height in May, 2007, and then decline sharply from there, slipping below 'support' in August, 2007, as the stock dipped below $44. While seeming to be developing a new support in the $33 level, this is far from confirmed and convincing. So how did I do with these two stock picks from the week of September 25, 2006? Well, except that I had the poor luck of including a financial company, it wouldn't have been that bad. O.K. no excuses, the two stocks combined for an average performance of a loss of (17.7)% since posting! Thanks so much again for stopping by and visiting! If you have any comments or questions, please feel free to leave them on the blog or email me at bobsadviceforstocks@lycos.com. If you get a chance, be sure and visit my Covestor Page where you can monitor and see an evaluation of my actual trading portfolio (email me if you would like an 'invite' to open a free account on Covestor....I have 4 invitations available :)), my SocialPicks Page where all of my stock picks from the last year or so have been reviewed, and my Podcast Page where you can listen to me discuss some of the many stocks and issues discussed on this website. How I Deal With Market Corrections! I really thought about writing up another stock this evening. Regular readers know that I like to write about stocks that I think deserve consideration based upon their price movement and underlying fundamentals. But more important to me right now is dealing with the difficult trading environment and responding to market conditions within my own portfolio. Many of you will have noted that I haven't been posting many "trading transparency" entries. Because I haven't been trading. My remaining six stocks haven't hit any sale points either on the upside or the downside. And without a signal to do anything, I haven't. When markets correct and stocks decline there are multiple courses of action that are motivated by fear and greed. We believe we should justify our past decisions by buying more of the same stocks that have now declined on us and are thus 'better values'. At the same time, we may act in terror at a market decline and simply 'throw in the towel' and sell all of our positions swearing never to buy another stock again! It is obvious to me that it is difficult to know exactly what to do in these trading environments. Is the market about to drop 200 points, or is it ready to climb 300 instead? Sentiment changes by the moment. I have talked about the "Zen of Investing" elsewhere. Many people have also written about this "Zen" concept from Motley Fool to Zenway.com where they pledge to "hear the 'grasshopper' even in the midst of Wall Street thunders and storms. "In the end, the best qualities for investors are the same ones Aristotle admired: moderation, common sense, restraint, modesty and integrity. Maybe, instead of five days of investor education, we should all sit down and read five days' worth of the ancient Greeks." But somehow that doesn't get at what "Zen" is all about. "Do not believe in anything simply because you have heard it . . . Do not believe in traditions because they have been handed down for many generations. But after observation and analysis, when you find that anything agrees with reason and is conducive to the good and benefit of one and all, then accept it and live up to it.-Buddha"
"Mindfulness is the other major classification of meditation practices, known as vipassana, or insight meditation. In the practice of mindfulness, you begin by utilizing one-pointed attention to cultivate calmness and stability, but then you move beyond that by introducing a wider scope to the observing, as well as an element of inquiry. When thoughts or feelings come up in your mind, you don't ignore them or suppress them, nor do you analyze or judge their content. Rather, you simply note any thoughts as they occur as best you can and observe them intentionally but nonjudgmentally, moment by moment, as the events in the field of your awareness." For me, I have chosen to combine this "Zen" calmness, with the Robert Lichello automatic investing ideas, and the O'Neil CANSLIM observations on the "M" of the Market. In other words, I have chosen to listen to my own portfolio and observe the actions of the market and to respond to them without judgment and analysis but with understanding and appreciation. Within my own portfolio, when stocks hit sale points that I have previously set to limit losses, this represents not only a sale of a poorly-performing holding but a 'message' to me that demands my attention. For all of us, stocks that end up being sold for poor performance or are behaving poorly without being sold are 'talking to us', telling us something about the state of the markets in general. It is this observation, this mindfulness about my own portfolio, that has led me to set up my system of moving between 5 and 20 positions, setting my portfolio size in response to the actions of my own holdings rather than in anticipation of any market move which may or may not occur. I don't know if this 'strategy' will work over the long haul. I am but an amateur investor after all. I do know that it seems to working now and I have been listening. Maybe we all need to be listening more to our own holdings, the stock market, and the news that is occurring all around us. Instead of perhaps listening to the wide array of 'talking heads' that direct us to act on passions instead of mindfulness. Aeropostale (ARO) "Revisiting a Stock Pick"
I was looking through the list of top % gainers on the NYSE this afternoon and came across an 'old favorite' of mine acting quite well, in fact closing at $27.85, up $1.69 or 6.46% on the day. I do not own any shares nor do I have any options on this stock. I say 'old friend' because this will be the third time that this Aeropostale has come to this blog's attention. I first posted ARO on Stock Picks Bob's Advice on September 15, 2003 when the stock was trading at $27.25. Adjusted for two 3:2 stock splits (April, 2004, and August, 2007), this works out to a pick price of $27.25 x 2/3 x 2/3 = $12.11. Thus, with the stock at $27.85, this represents an appreciation of $15.74 or 130% since posting. One year ago, on April 3, 2007, I 'revisited' Aeropostale when the stock was trading at $42.06, which adjusted for the August, 2007, 3:2 stock split works out to a price of $28.04. Thus, since the post a year ago the stock has actually dipped a few cents to the current closing stock price of $27.85. "...designs, markets, and sells its own brand of merchandise principally targeting 14 to 17 year-old women and men, as well as provides lifestyle-oriented brands targeting 18 to 25 year-old women and men. It offers a collection of apparel, including graphic t-shirts, tops, bottoms, sweaters, jeans, outerwear, and accessories." Is there any news on this stock? Today is the first Thursday of the month. "What's so special about that? "...I can almost hear you asking. Well that is the day that the retailers announce their 'same store sales figures'. Today a lot of retailers announced their figures on same-store sales. Many of the numbers were strikingly negative! Major retailers like Gap (GPS) announced negative (18)% comparables, Chicos (CHS) came in with a negative (20.7)%! American Eagle (AEO) figures dipped (12)%. Thus when Aeropostale (ARO) came in with a positive 2.5%, this was big news. Especially relative to the performance of many of the other specialty retailers. And the market rallied behind the stock. What about the latest quarterly report? 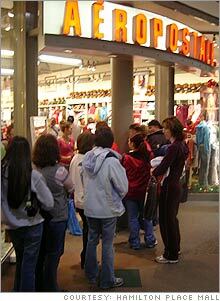 On March 13, 2008, Aeropostale (ARO) posted 4th quarter 2007 results. Total net sales for the fourth quarter increased 16.7% to $591.3 million from $506.8 million in the same quarter in 2006. Same store sales for the quarter came in at a positive 9.2% over the prior year. Net income for the quarter was $64.7 million or $.95/diluted share. Excluding special items, earnings for the quarter were actually $63.0 million or $.93/diluted share. This compares to $57.3 million or $.72/diluted share the prior year same period. The company beat expectations on earnings as indicated by analysts polled by Thomson Financial who had expected net income of $.88/share. They also beat expectations on revenue coming in at $591.3 million while analysts had been expecting revenue of $584.5 million. Reviewing the Morningstar.com "5-Yr Restated" financials on Aeropostale (ARO) we can see that revenue growth is continuing to steadily improve from $700 million in 2004 to $1.6 billion in 2008. Earnings have likewise steadily increased from $.62/share in 2004 to $1.73/share in 2008. Outstanding shares are not only stable but have actually decreased from 87 million in 2004 to 75 million in 2008. Free cash flow has been solidly positive if not steadily increasing with $86 million in 2006 and $89 million in free cash flow in 2008. The balance sheet is adequate with $112 million in cash and $173 million in other current assets. This total of $285 million in current assets, when compared to the $197.4 million in current liabilities yields a current ratio of 1.44...an adequate ratio imho. Looking at the figures from Yahoo "Key Statistics" on Aeropostale, we can see that the company is a mid cap stock with a market capitalization of $1.86 billion. The trailing p/e is reasonable imho at 16.14, and the forward p/e (fye 02-Feb-10) is estimated at 12.32, yielding a terrific PEG of 0.76. According to the Fidelity.com eresearch website, the Price/Sales (TTM) ratio of 1.23 is a bit rich relative to the ratio of 0.84 which is the industry average. On a more positive note, Fidelity also reports that the Return on Equity (TTM) for ARO of 46.28% is significantly higher than the profitability figure of 23.29% reported to be the 'industry average'. Returning to Yahoo, there are currently 66.74 million shares outstanding with 65.36 million that float. As of 3/11/08, there were 9.6 million shares reported out short representing 4.2 trading days of volume (the short ratio), or 14.6% of the float. This is a bit higher than my own '3 day rule' for short interest, but does not represent much of a 'squeeze' potential. No dividend is reported by Yahoo, and as I already noted, the stock last split with a 3:2 stock split reported on August 22, 2007. 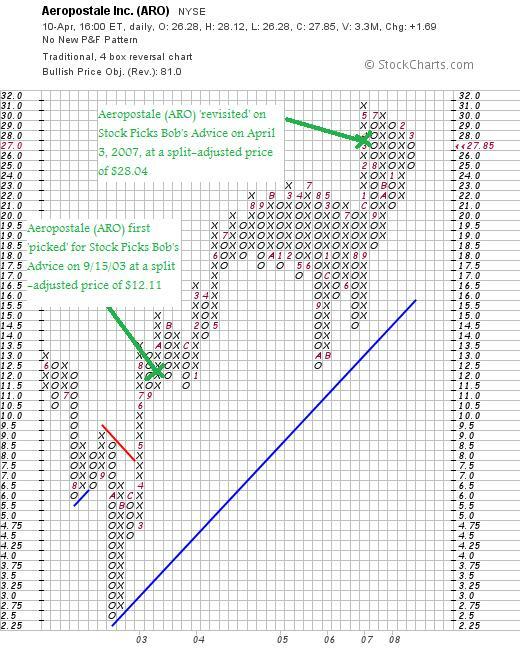 Reviewing the 'point & figure' chart on Aeropostale (ARO) from StockCharts.com, we can see that since the price dipped to a $2.50 level in October, 2002, the price has actually fairly steadily appreciated to the recent high of $31 in May, 2007, not much higher than the current price of $27.85. Well, I really like this stock. The valuation is reasonable with a p/e in the teens and a PEG well under 1.0. The Price/Sales is a tad steep but the return on equity is solid. The latest quarter was great and the last five years have shown steady growth with the company actually reducing its shares outstanding. On a negative note, the entire retail environment is guarded with the economy seemingly heading into recession. Aeropostale did relatively well and is continuing to show growth, if rather reduced down to the low single digits. With all of this in mind, the best I could do is to rate the stock a "hold". Thanks so much for stopping by and visiting! If you have any comments or questions, please feel free to leave them right on the blog or email me at bobsadviceforstocks@lycos.com. If you get a chance be sure and visit my Covestor Page where my actual trading account is monitored and this blog is reposted, my SocialPicks page where my many stock picks are also monitored, and my podcast page where I have recorded some various shows on some of the many stocks I have written up here on the website. Wishing you all a wonderful Friday and a great week ahead! A Reader Writes "Sirius and XM combined...I truly disagree with your analysis on this issue." As you know, I am a big fan of your blog and the podcasts. However, I truly disagree with your analysis on this issue. I believe that Sirius and XM combined do not form any sort of monopoly within the radio industry for several reasons. The first reason is that the services from these companies are very expensive - especially compared with the alternative of regular radio. Also, HD radio is being advertised all over the place, however I am not sure about the long term prospects of the technology. In addition, since these companies were created, there has been a very serious technological revolution in the music space. As you mentioned, Apple has become a dominant player in the music industry with Ipod/Itunes/Podcasts which lowers the number of people that rely on Satellite Radio. Besides the argument that there would not be a monopoly, I think the merger will benefit the users of Sirius and XM alike once the technology issues are ironed out. I know several people who have complained that they do not have access to sports broadcasts for all sports due to exclusive deals. A merged company would allow listeners to enjoy Stern &amp; Oprah and sports programming through one service. In addition, I believe that the CEO for Sirius has talked about offering a la carte service which would let listeners choose what stations they want to subscribe to giving a better bang for your buck. Thank you so much for writing! And for entering into this discussion. You obviously are not alone as the Department of Justice also weighed in on this and decided it wasn't a monopoly. Let me think about your arguments. You write first that it isn't a monopoly because "the services from these companies are very expensive---especially compared with the alternative of regular radio." O.K. you lost me. The issue of a monopoly isn't whether the services are expensive or not. The point is that the combined services would no longer have any competition in providing this satellite service (they each are competitors with the other) and thus there would be even less incentive for them to keep the prices down. What about HD radio? I don't know much about HD. This might possibly make satellite obsolete. But this isn't really the point. The question is whether in the market service called "satellite radio" there is adequate competition. The reason that Congress (I believe it was them or the FCC) set up two providers was simply so that there wouldn't be a monopoly. Satellite radio is a system all to itself. When I am listening to my XM radio (which I absolutely adore), I do not listen to Sirius or even to conventional radio as competition. I can indeed flip back to FM or AM on my radio, but the service that I purchase is a choice between XM and Sirius when I purchased my unit from Best Buy. Once they merge, there will no longer be choice in satellite services. We could just as easily justify the elimination of all the different cable providers and simply say that Time Warner should own every cable company in the United States. Saying that there was competition for watching television by using DVD's or broadcast TV would not really deny the argument that a single cable provider EVERYWHERE was a monopoly. Finally, the question of Apple providing music with iPods, iTunes, etc., really begs the question. This is not a question of the ability to listen to music from other sources besides satellite. The question is whether satellite radio is a distinct service and whether combining the only two providers sets up a de facto MONOPOLY. I cannot avoid that obvious conclusion. You might ask whether the consumer is better off because there will be more options and sports for all of the satellite subscribers. You might have a point at least for now. But if there is a monopoly created, as I assert that it is without a doubt, what would be the incentive for new programming to be offered to consumers? There wouldn't be competition from the 'other' provider. What would be the incentive to keep prices down? The only incentive right now for this a la carte talk is the possibility that the merger is denied. The least responsive provider of a service is one in which the audience is essentially captive, with no alternative service to be chosen. Why should they even answer the phone when you call? Anyhow, that's my take. I appreciate very much your input and the time you took to respond. Like I said in my entry, I very much like satellite radio and am an early subscriber to XM. It is just that I really appreciate the Free Market system that we all enjoy, and occasionally, it seems that it may well be necessary to break up or prevent mergers that are simply anti-competitive. Our Department of Justice really seems to have failed us this time. BTW, I do NOT own any shares of either of these companies nor do I have any options on their shares. Is the Sirius-XM Merger forming a Monopoly? I love my XM radio. Most of the time I listen to CNBC getting the latest Stock Market information while driving along in my car. But I also like the wide range of music choices; I enjoy channel 28 which is the Broadway Tunes channel. When my daughters get in the car, they are switching over to current hits. The choices are terrific. I plug the service to all of my friends. But is the proposed merger between XM and Sirius anti-competitive and somehow forming a monopoly? The Department of Justice didn't think so. "Our data confirms that there was very little switching between companies after a person subscribes to a particular service," said Assistant Attorney General Thomas Barnett during a conference call with reporters Monday afternoon. " "Despite cries from some politicians and traditional broadcast companies calling the pending deal harmful to consumers, the Department of Justice determined that an XM-Sirius merger was not anti-competitive. The Justice Department argued that other media companies such as Clear Channel (CCU, Fortune 500), CBS (CBS, Fortune 500), or even Apple (AAPL, Fortune 500) with its iTunes software and iPod music player served as alternate options for music and media customers." "- The combined company would have more offerings and pricing plans that have clear benefits for the consumer, which is precisely what the FCC is looking for. - It’s just not an antitrust violation. Satellite radio makes up less than 5% of all radio, and neither XM nor Sirius is profitable. What sort of monopoly would that be? - Current market conditions are so bad that it would be hard for the Feds to turn away this merger, especially given all the negativity and the huge decline in M&A." So what exactly is a Monopoly under the Sherman Act? "A monopoly power is defined as the ability of a business to control a price within its relevant product market or its geographic market or to exclude a competitor from doing business within its relevant product market or geographic market. It is only necessary to prove the business had the "power" to raise prices or exclude competitors. The plaintiff does not need to prove that prices were actually raised or that competitors were actually excluded from the market. 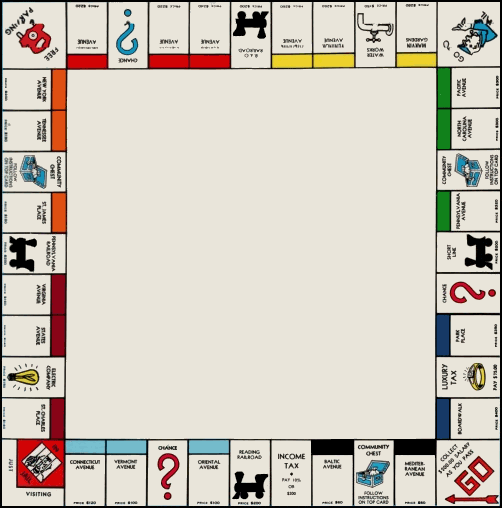 Today, a general definition of a monopoly is where nearly all of one product type or service is owned by one person or group of people within a community or area. Thereby, the sole control of this product or service is given to one party to the elimination of all others within the marketplace. To determine whether purchasing a competitor's business or creating an agreement with a competitor may result in a monopoly within your market place, please seek the advice of an attorney." "The ultimate inquiry in any merger review is whether the proposed merger will affect the state of competition: why does this merger matter? Under a coordinated effects analysis, that inquiry focuses on whether, post-merger, suppliers will have a greater incentive and ability to coordinate. That is, will the merger make coordination more likely, more perfect, more complete, or more durable? A merger could make coordination more likely simply by reducing the number of players needed for consensus or by removing an industry "maverick" with a history of undercutting or resistance to market leadership. A merger could make coordination more perfect by creating a price leader or by enabling the now fewer number of firms to support a higher price or otherwise more stringent terms of coordination. In much the same way, a merger could make coordination more complete by, for example, extending the duration, product coverage, or geographical reach of coordination. Finally, a merger could make coordination more durable by enabling firms to better monitor compliance." Excuse me for diving into this one. But if each of these companies were so great, wouldn't they also be able to be acquired by a larger media firm that might maintain competition by strengthened financials while these satellite firms matured and became profitable? 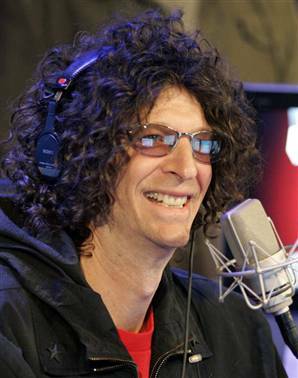 And are we rewarding mismanagement that would award Howard Stern a $500 million deal while barely staying afloat financially? As I recall, the initial license for two providers of satellite services was designed to provide the minimum for some sort of competition. How is just one provider really protecting the basic capitalist idea of competition in this service? How does one satellite provider offer a consumer or an automobile manufacturer any incentive at negotiating for a better deal, better service, or more innovation? Excuse me for asking, but I just don't get it. There are many different things I am trying to accomplish on this website simultaneously. First of all, I like to discuss and refine my own investment strategy. Next I discuss many stocks that I consider 'investable'--stocks that meet my own criteria of consistent revenue growth, earnings growth, stable outstanding shares, free cash growth, good balance sheet, reasonable valuation and a solid latest quarterly report. At the same time, I am also providing all of you with an inside look at this particular amateur investor's actual trading account. O.K. that isn't such a big deal :), but I am still working at providing all of you with transparency. That is, when I buy or sell stock, I post it here and provide all of you with the rationale. Except for my occasional 'trades' that I am avoiding as much as possible, this keeps me honest. This provides me with a reason to continue to abide by the 'rules' that I have set up for myself. And insofar as this process continues to be thankful, I thank all of you for your participation on this website. Well back to work. I last reviewed my trading portfolio back on February 26, 2008. This review is as of today, April 6, 2008. The holdings are listed in alphabetic order of their symbols, followed by the number of shares, date of purchase, price of purchase (cost basis), latest price (4/4/08), and percentage unrealized gain or (unrealized loss). Currently I am down to six positions. As you may recall, I have a minimum of 5 positions in my 'strategy' going to a maximum of 20. The current market value of securities if $45,626.19 with $110.68 in the money market portion of the account. As of April 5, 2008, I had $(1,250.59) in total realized losses in 2008 made up of $(4,534.09) in short-term losses, and $3,283.50 in long-term realized gains. In 2008 I have had $29.63 in total income and $(221.13) in margin interest paid. The relative decrease in cash and the performance in this account is related to the unfortunate 'trade' in Lehman Bros which I tried to do a 'trade' outside of my regular 'rules'. I continue to learn. I shall be waiting for either a sale if stocks decline, bringing me down to my minimum of 5 positions, or a sale on appreciation should my stocks move higher, in which case I shall be once again looking to add another position! Thanks so much for once again visiting here! If you have any comments or questions, please feel free to leave them on the blog or email me at bobsadviceforstocks@lycos.com. It is now Sunday evening, and I really want to get this review out before the weekend is over. I have missed a few weeekends along the way and the result is that the 'year ago' period is more like a year-and-a-half....and it might even close on two years out! Anyhow, these reviews are based on a presumed buy and hold strategy. In practice I advocate and employ a disciplined investment strategy. The difference between these two approaches would certainly affect performance and should be taken into consideration. PCP closed at $111.08 on April 4, 2008, for a gain of $51.19 or 85.5% since posting. On January 22, 2008, Precision Castparts (PCP) announced 3rd quarter 2008 results. Sales increased 22.7% to $1.70 billion from $1.38 billion the prior year same period. Net income came in at $246.5 million, up from $158.7 million the prior year. This was $1.78/share this year vs. $1.17/share last year. The company came in a little light on revenue, but beat expectations on earnings according to analysts polled by Thomson Financial who on average had been expecting earnings of $1.72 on sales of $1.74 billion. The Morningstar.com "5-Yr Restated" financials on PCP are intact with solid revenue growth, earnings growth, stable outstanding shares, free cash flow growth, and a solid balance sheet. If we review the recent StockCharts.com 'point & figure' chart on Precision Castparts, we can see how the stock has recently been under pressure (as have most all stocks), but that how the stock price hasn't fundamentally broken down long-term. 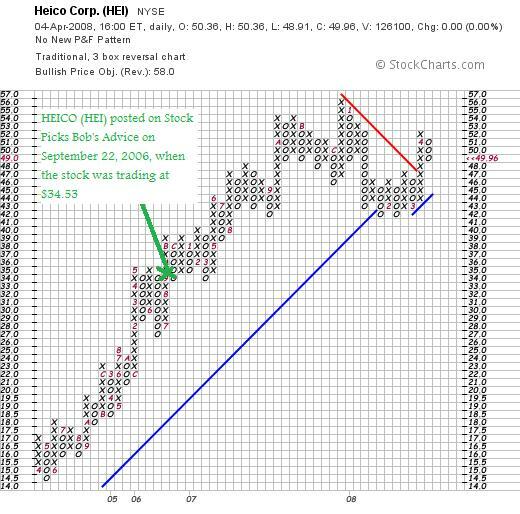 HEICO closed at $49.96 on April 4, 2008, for a gain of $15.43 or 44.7% since posting. On February 28, 2008, HEICO reported 1st quarter 2008 results. Net sales increased 18% to $134.3 million from $113.7 million the prior year same period. Net income grew 27% to $10.1 million or $.37/diluted share from $7.9 milion or $.30/diluted share last year. The Morningstar.com "5-Yr Restated" financials page is intact with continuing steady revenue growth, earnings growth, dividend growth, stable outstanding shares, free cash flow growth, and a solid balance sheet. Reviewing the StockCharts.com 'point & figure' chart on HEICO (HEI), we can see that the stock price, which did come under pressure this year, has been acting stronger, breaking through recent price resistance and overall has held up quite well from my perspective. Actually I did quite well with these two stock picks. These selections had an average appreciation of 65.1% since being selected for this website. Thanks again for visiting! If you have any comments or questions, please feel free to leave them on the blog or email me at bobsadviceforstocks@lycos.com. If you get a chance, be sure and visit my Covestor Page where my actual trading portfolio is monitored, my SocialPicks Page where my many stock picks are being tracked, and my Podcast Page where you can download some 'radio shows' I have done explaining some of the stocks and ideas I share with all of you on this website. A Reader Writes: "I was hoping you could answer a few questions...."
I was hoping you could answer a few questions I've had lingering on my mind for the past couple months. But before I do that, thank you for your response regarding the state of the US dollar. You went beyond my expectations, the amount of thought you put into your response was greatly appreciated. When I started investing, I decided to stick to the Warren Buffet school because hey, you need to start somewhere right? I've been examining my portfolio and calculating my gains if I were to adopt a style closer to your own and it would have resulted in noticeably larger gains. I believe one of the contributing factors is because some of my holdings appreciated extremely quickly and as a result made them too p/e rich for me. As a result, I am considering adopting a small portion of my portfolio to a style similar to yours as an experiment. My understanding of your investment style is to purchase on good news and a sale on bad news leaves you sitting on your hands. Is this to invest when momentum is on your side; to be a bull when your holdings are bullish and vice versa? The market has been up a fair bit the past week, if you reach a sale on appreciation, would you purchase more to capture more gains in the temporary bullish run up when another detrimental bombshell could easily hit at anytime? Are you willing to be a bull if your portfolio is bullish even though the market has a whole is bearish? Last year during the beginning of the subprime mess, you lamented being whipsawed over a couple trades (Sorry, I had a great deal of difficulty finding the appropriate entries or I would cite them for reference). How did lessons learned during previous unstable markets affect your current "Buy Signal" indicator? Does the risk of being whipsawed affect your style now that we are deep in an extremely volatile market? Finally, forgive me if this is incorrect, I am not a resident of the United States and I'm not completely familiar with your tax laws. I am under the belief that capital gains on stock held for less than a year are taxed considerably higher. How do you structure your portfolio around this? When I did the math on my portfolio, if I were to adopt your strategy from when I started to present, I would be up more money post tax. How has taxes affected the decision to adopt a more active strategy versus buy and hold? PS before sending this, I briefly checked your past entries looking for literature on how you deal with a bear market and found an old post reiterating your trading strategy. I waffled between editing my questions with that post in mind, but ultimately felt that I was asking questions that have not been asked. My apologies in advance if they already have been answered, your blog has a lot of content and you can only sift through so much before giving up." Erik thanks so much for writing once again! Your comments are more than generous towards my website. You started out talking about Warren Buffett a brilliant investor who really is in a class all by himself. Mr. Buffett is the most well-known 'value investor' and also likely the most successful. 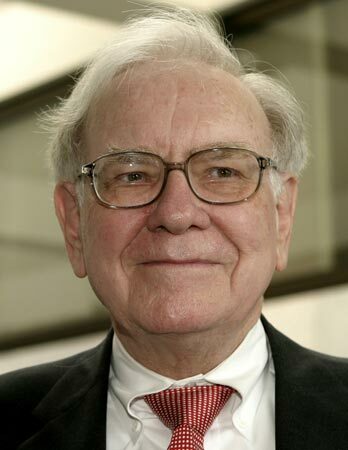 "Warren Buffett descends from the Benjamin Graham school of value investing. Value investors look for securities with prices that are unjustifiably low based on their intrinsic worth. When discussing stocks, determining intrinsic value can be a bit tricky as there is no universally accepted way to obtain this figure. Most often intrinsic worth is estimated by analyzing a company's fundamentals. Like bargain hunters, value investors seek products that are beneficial and of high quality but underpriced. In other words, the value investor searches for stocks that he or she believes are undervalued by the market. Like the bargain hunter, the value investor tries to find those items that are valuable but not recognized as such by the majority of other buyers. Warren Buffett takes this value investing approach to another level. Many value investors aren't supporters of the efficient market hypothesis, but they do trust that the market will eventually start to favor those quality stocks that were, for a time, undervalued. Buffett, however, doesn't think in these terms. He isn't concerned with the supply and demand intricacies of the stock market. In fact, he's not really concerned with the activities of the stock market at all. This is the implication this paraphrase of his famous quote : "In the short term the market is a popularity contest; in the long term it is a weighing machine." But that isn't what I do. 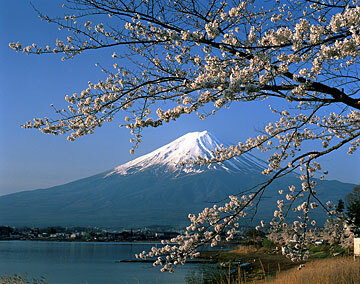 It isn't a bad approach, but I have chosen to pay attention to the 'activities of the stock market'. In fact, the market's activities virtually controls my own direction and decision-making. You write about my strategy regarding buying stocks on 'good news' and selling on 'bad news'. Actually the difference between what I do and your observation is subtle. I sell stocks either on their reaching appreciation targets (I use 30, 60, 90, 120, 180, 240, 300 360, 450, 540%....etc.) at which time I currently sell 1/7th of a holding. Or I sell on a decline of 8% after an initial purchase, back to break-even if I have sold a holding once at a 30% gain, or if it should decline to 1/2 of its highest appreciation-point-sale. In those cases I sell the entire position. The last sale-point might be explained by noting if I happened to own Stock "XYZ" and had sold it four times (at 30, 60, 90 and 120% appreciation levels), then I would sell the entire position if it declined to 1/2 of the highest sale point or at a 60% appreciation level. In addition to all of that I do reserve the right to 'bail-out' of a stock on actual bad news. Sort of like a criminal investigation or some horrible earnings report or other development. I have also retained the right to purchase stocks 'for a trade' but am trying to suppress that activity entirely as it hasn't been very successful for me. 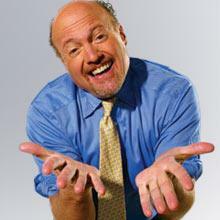 But getting back to your comment, when I sell a stock at an appreciation point, I call that "good news" and use it to as a signal on the entire market environment. Thus, I give myself permission, if I am under my maximum number of positions, which currently I have placed at 20 (I am actually at 6 positions as I write), to add a new holding to my portfolio. In the same way, sales on declines aren't based necessarily on any particular 'bad news', (except in the aforementioned arbitrary right that I reserve to sell on such events), but rather are declines in stock prices that trigger sales simply based on reaching price levels on the downside. I refer to these sales as "bad news" and you are correct, I 'sit on my hands' with the proceeds. Again, your question: "Is this to invest when momentum is on your side? "....is actually on the mark. I am trying to remove my own emotional input into the decision of 'when' to be buying stock from the equation. I am assuming that my own portfolio is somewhat of a reflection of the entire investment world. (It is certainly a stretch, but I think it works!). Thus when one of my own stocks hits a sale on good news, I am using this as a signal to add a new positions. Likewise, on the downside, I am using this as a signal not to be investing. You ask about the short-term appreciation of the stock market, and whether if I reached a sale on appreciation I would be buying. The answer is 'Yes!'. But you will also note that my portfolio of six stocks hasn't reached any sale this week and doesn't appear to be very close. So I am willing to be a bull when the rest of the market is bearish. I am deferring to my own stocks to dictate to me. I suspect my own holdings will act more rationally than I will as the market swings from optimistic upward moves to sharp declines. You also asked about some whipsawing that happened in my own account and what I might have learned. Basically, the biggest problem I have had in my account is related to my impulsive trades that shouldn't have been done at all. My overall strategy is working fine. I have been performing several points ahead of the S&P since Covestor started tracking me, and would be doing even better if I had avoided the 'trades', large positions that I tried to trade on the sharp moves in the market. The volatility in the market has firmed my resolve at following my own investment strategy. The tax question is a good one. Indeed we have taxes to pay when short-term gains are recorded that are a higher rate than long-term gains. "Your tax will depend on a few things. If you have a short term capital gain you will be taxed at your normal tax rate. However, if you have a long term gain you will be taxed at 15%. If you are in a tax bracket of 14% or less you'll be taxed at 5%. How do I know if I have a short term or long term gain? To determine whether you have a long or short term capital gain is quite simple. Property that you own for less than one year is defined as short term. Property that you own for more than one year is defined as long term." And you will recall that my trading strategy involves taking losses aggressively. Hopefully, I shall have many more gains than losses both short-term and long-term. I am prepared to pay taxes to guarantee my long-term success. Thanks for looking through the blog for some of these answers. I am more than happy to write up this response from a very well-thought-out reader! Thank you for loyally dropping by and thank you for taking the time to write! Again, if you or any other readers have questions, please feel free to leave them on the blog or email me at bobsadviceforstocks@lycos.com. If you get a chance, be sure and visit my Covestor Page where my actual trading portfolio is monitored, my SocialPicks page where many of my stock discussions this past year are reviewed, and my Podcast Page where you can download mp3's of discussions of many of the same stocks discussed on the blog!